Toppers Pizza has introduced a new pizza for a limited time. 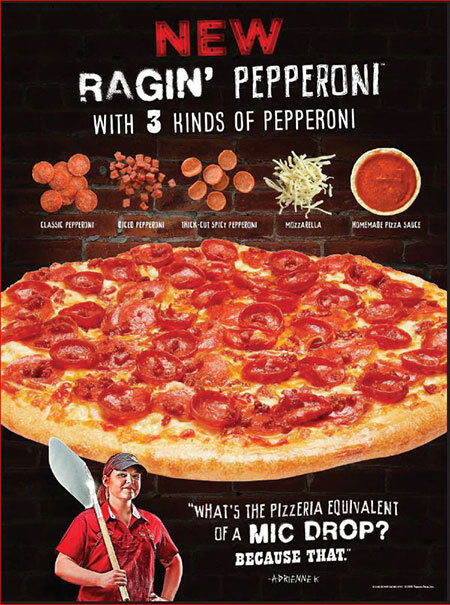 The Ragin’ Pepperoni Pizza will be available starting today through mid-April. The new menu item features traditional pepperoni, diced pepperoni and thick-cut spicy pepperoni combined with 100% Wisconsin mozzarella cheese and Toppers’ homemade pizza sauce. The quick-service pizza chain says that it plans to introduce more limited-time menu items throughout the next year.